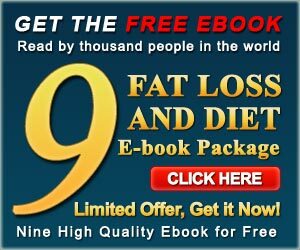 Product DescriptionChanging Bodies, Transforming Lives – Your Ultimate Guide to FAD-FREE Fat Loss! is about changing your body and life for the better. Not by frivolously following the fads, but rather, by taking consistent, intelligent actions towards your specific health goals. Most diet books try to “fit the person to the diet plan. ” Actually, most people who start out diets do succeed in losing weight. However, this success is often short-lived and once the person abandons the fad diet, he or she typically gains all the weight back and more. Mel’s book and his innovative FAD-FREE 4-C’s Fat Loss system “fits the diet to the person. ” It conveys a lifestyle modification program that, when consistently and intelligently applied, helps people achieve a lean and healthy physique, plus boost confidence, energy, and vitality. Sure, you’ll look great but you’ll FEEL great too! The first half of the book outlines Mel’s A. C. H. I. E. V. E. Principles and describes his personal transformation experiences (Mel was previously overweight and obese for much of his life!). The second half of the book provides the step-by-step nutrition and training guide (recipe if you will!) for changing your body for the better – losing excess fat and gaining lean body mass. Mel’s book sends a clear, cogent, and credible message that changing your body and life for the better IS possible – that it’s never too late to begin a new lifestyle based on his FAD-FREE principles. His book is a simple, yet powerful tool to help people achieve their ultimate health and fitness goals. Simply stated, this is the kind of book that most other personal inspiration and diet/fitness books aspire to be. What Mel has achieved with this text is something quite unique. Changing Bodies, Transforming Lives is much more than the sum of its parts. It is not just another nutritional plan, although Mel’s 4-C’s Fat Loss approach is easy to follow and immeasurably practical; it is not just another “self-help” program, although his caring and dedication to helping others improve the quality of their day-to-day lives (just as he has) shines through; and it is definitely not just another bodybuilding book. Whereas much of the bodybuilding industry feeds on and perpetuates the anxieties of a highly image-conscious culture in order to market exercise and supplement products, Mel’s application of the bodybuilding “lifestyle” is strictly in the service of helping people experience the well-being that comes with true physical and emotional health. When Mel relates his own story, you never get the sense that his personal transformation involves any unspoken value judgment of others who still struggle with obesity, poor self-image, and poor health. Instead, each page is infused with motivating positive energy — Mel has experienced those struggles himself, and he can help you to A. C. H. I. E. V. E vitality and success in your life as well! With the glut of “fad diet” books and programs on the market today, it’s hard to cut through all the hype and figure out for yourself what’s genuine and what’s bunk-laden drivel. Luckily, Mel Ona has done his homework. And my homework. And your homework. He’s distilled and streamlined what others have made complex and cumbersome. He’s created a program that just plain works. I wanted someone to break it all down for me, real simple-like, and show me, step-by-step, what I need to do to lose fat, gain muscle, and feel better. I wanted a simple, easy-to-follow, and above all, EFFECTIVE program – a plan that I didn’t need a compass, a GPS device, and a clear line of sight to the North Star to stick to. And that’s exactly what Mel has done through his book, “Changing Bodies, Transforming Lives: Your Ultimate Guide To FAD-FREE Fat Loss. ” Using Mel’s book, I lost fat, I became more lean, and I feel better than I have in years (and years, and years). I did the work, yes, (and, frankly, anyone that tells you they have a way around the work is selling snake oil) but Mel made it a no-brainer. I can’t recommend this book strongly enough. If you follow what Mel has planned for you, you WILL see spectacular results. You WILL improve your health. You WILL achieve your goals and dreams.